Saturday I ran out to pick some huckleberries in the front of our house. We have five large bushes that were loaded with berries and have been waiting all summer for them to ripen. I ran to the one that was closest to the house and then the next one. There were hardly any left. Dang those birds, I've been outsmarted again. Days before we had traveled to the big city of Eugene to run some errands and stayed overnight in a hotel. We drove back late the next day. Before leaving the long awaited berries looked plump and ready to pick. I was anxious to get back as I had many recipes and ideas lined-up. My total pickings today were a little over a cup, so disappointing. These scones are biscuit like in texture, not too dry and sweetened with a light lemon glaze. I halved the recipe and added less butter and 2% milk instead of cream. There were a few other minor changes as well. 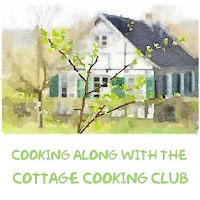 This recipe has been adapted from Ina Garten's, strawberry scone recipe. Preheat oven to 400F. Prepare cooking sheeting with butter or use a baking mat. In a large bowl combine both flours, sugar, baking powder and salt. Cut in butter using a pastry cutter or blend on low until mixture is the size of peas. Whisk egg and milk together, add to dry ingredients and mix until just combined. In a small bowl combine huckleberries with the flour to lightly coat the berries. Then add floured huckleberries and lemon zest and gently distribute throughout. Transfer to prepared baking sheet and bake 20 to 25 minutes until lightly golden brown. Remove from oven and let cool at least 15 minutes. Then combine sifted confectioner's sugar and lemon juice to form a glaze using a glass measuring cup. **easier to pour that way** Pour glaze in a zig zag like pattern on top of the scones. Enjoy! I adore scones! Bummer those birds beat you to the berries! What really sad it's the second year in a row, how can these silly little birds outsmart me again. Hi Arpita, huckleberries are much smaller than blueberries and taste similar too. Hi Dena, I think next year I will pick 2 bushes and cover them with a special net and then they can have theirs and I can have mine. Oh my gosh, those look so good, Cheri! What a shame about the birds. I have a similar issue with rabbits, lol. Your recipes always look so appetizing! Hi Robyn, I know what are you going to do, at least I got to enjoy some. Well Cheri though you only got about a cup of berries you certainly put them to good use, The scones look wonderful. Thanks Suzanne, we enjoyed them. I have the same problem with birds, gave up growing blueberries, may give up raspberries and blackberries too. Love scones and yours look delicious. Hi Norma, they eat the all of our blueberries too every year, I have already given up on that. Thanks! Thanks Karen, in AZ we pay 12.00 a pound, it's much nicer when they are free. I don't think I even know what a Huckleberry is. These scones look delicious Cheri. I'm such a bird watcher, I'd probably plant berries just to attract them. Hi Lea Ann, I love the birds too, I'm selfish I guess I would like to have both. Such a bummer over the berries! I'm glad you at least got enough to make these delicious sounding scones! Hi Reeni, me too. Thanks! These scones sound great! I've never made anything with huckleberries, and don't have that kind of bush, but I'll have to try these with another kind of berry! Hi Nancy, any kind of berry should work, thanks! Hi Charlie, possums sound so cool, I bet they are pesky too! Thanks Tandy, huckleberries are much smaller than blueberries. There are little comb like tools you can buy to harvest them, but then you still have to pick off the stem. What beautiful scones and how lucky you are to have any huckleberries! We can't even find them in markets here. Thanks Abbe, one of these summers I will outsmart those birds. Now I sound like a cartoon. Haha! Beautiful! Your huckleberries look so different from the ones we have here in Vancouver. Ours are small, red, and very, very tart. Hi Teresa, if I wait long enough for them to ripen they are sweet, but then I am competing with the birds. Hi Uru, if you like huckleberries you should like these. Thanks Sam, yes they do remind me of blueberries, but much smaller. your scones are just perfect! I love the way you cut them! Huckleberry and lemon sounds like a great combination for these scones! Hi Mich, thanks, appreciate the comment! I'm so jealous you have huckleberries in your own yard! My dream is to have loads of fresh fruits available for picking on my property. Sounds delicious with the scones! That's a great dream Kelly, I am working on something similar. Good luck Liz, you still might be able to find some. Love Seattle! Yikes - I'm afraid I don't think I've ever even had huckleberries! And how funny I was reading a book recently where there was talk of huckleberry pie! I am a fairly recent scone convert and yours look wonderful here! Hi Monica, huckleberries are a lot of work, so glad you converted. Great combo in those delicious scones.I have never made scones! Hi Ela, hope you try them sometime! Hi Kelly, only because I have made some pretty big messes myself. I have never made scones or tasted a huckleberry. I would love to try a bite of your pretty scones. Thanks Sam, they are both great! I've never tasted a huckleberry before but sorry that the birds got to them :( Scones are one my favorites and I love the sound of the lemon with huckleberry. They look amazing! Hi Kelly, huckleberries are kind of like blueberries, they are delicious! Huckleberries are new to me and I am so wanting to try them! These must be so wonderful. I'm so jealous you have your own huckleberry bushes!! Such fun. We used to pick them in northern Michigan....my mother made the best pie! Hi Barbara, I was hoping to make a pie but I guess it's not to be. Maybe next year. Gorgeous scones! You are ever so lucky to have your own huckleberry bushes. That is a berry I love! Hi Phi, it is pretty cool, if we can get our hands on some. Ha! These sound heavenly! How many people have access to fresh huckleberries? Lucky girl! I love scones too..Never even saw a huckleberry I think...! Huckleberries are much smaller, but just as delicious when ripe! Have seen those berries here, but didn't know they are edible. Those scones look marvelous, Cheri. I have never tried huckleberries before! Definitely something that I need to get my hands on and cook with.. thanks for the great scone recipe too! Hi Thalia, huckleberries are delicious, thanks for stopping by. aw man, i'm sorry the birds got to your bushes before you could harvest the berries. i love me a good scone, and these look amazing! Hi Lan, me too, those birds are driving me crazy. Hi Susan, we have 3 types of berries in our yard, we are constantly fighting with the birds over them, they are pretty crafty. what kind of puppy are you getting? Scones are my favorite thing on earth. 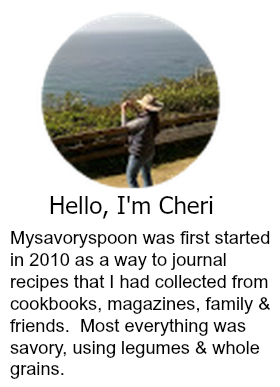 Hi Cheri, I have not tasted fresh huckleberry but I like scones and had baked with a few recipes. Your Huckleberry Lemon Scones looked so tempting and delicious ... perfect with a cup of hot beverage ^-^! Thanks for sharing.